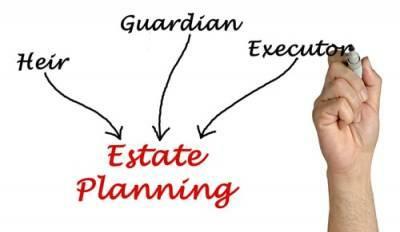 One of the most important decisions in the estate planning process is who will be named as executor of the estate. The executor is the person who is responsible for overseeing and protecting the assets of the deceased person. He or she is responsible for ensuring that the wishes of the decedent are carried out, as well as maintaining any property of the estate until disbursement, settling the debts of the estate, and paying any taxes owed. 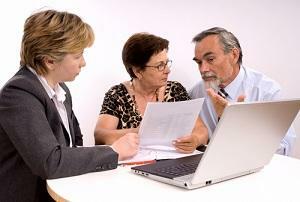 It is critical for the person who is appointed executor to understand how to manage the estate. If they mismanage estate assets that add up to a loss to the beneficiaries of the estate, they can be held liable for those losses. Unless arrangements have been made before the person’s death, it is typically the executor’s responsibility to handle the financial arrangements for the deceased’s funeral and burial expenses. The funeral parlor also provides copies of the death certificate to the executor. It is important to obtain several copies of the death certificate since a copy will be necessary in order to access financial accounts and canceling government benefit checks (i.e. Social Security). A copy is also required to be filed with the final federal tax return of the estate. 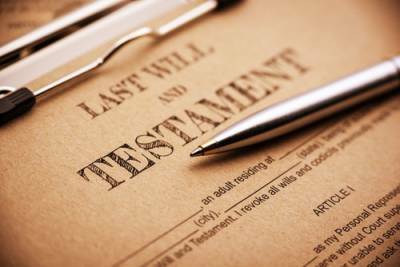 It is also the executor’s responsibility to file the deceased person’s will for probate. 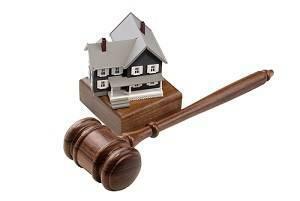 There can be no division of the estate until a probate judge gives their approval. Exceptions to this rule is if all the assets had been transferred to a living trust before the person died. Those assets can be disbursed to the designated beneficiaries without having to go through the probate process. Choosing to adopt a child is a life-changing decision for both the child and parent. In terms of adoption, many imagine a couple adding an infant to their family dynamic; however, this is only one form of adoption. Other types of adoption include stepparent, family related, domestic partnership, and uncontested adoptions. Stepparent adoptions are fairly common, and these particular adoptions have their own unique legal process. Illinois Residency: For those seeking to adopt within the state of Illinois, residency is a requirement. The stepparent must be an Illinois state resident for at least six months before filing for the adoption. Absent Parent’s Consent: It is a legal requirement to have the consent of the absent parent; however, this can often be a difficult task. For those who cannot get in contact with the absent parent, exceptions can be made. A stepparent can adopt a child without the absent parent’s consent if the child has not had any substantial contact with the parent in over a year’s time. Child’s Consent: Illinois also requires the consent of the child if he or she is 14 years or older. This consent is made through the signing of a legal document. As is the case with all legal processes, there are exceptions. Many children whose stepparents are attempting to adopt either do not know the whereabouts of their absent parent or do not know the identity of this parent. In cases such as these, prospective parents may ask the court to waive the requirement for the absentee parent’s permission. Child abuse and neglect is a sensitive topic that can often be misunderstood. These situations go much deeper than just physical abuse or harm done by neglectful parents. There are a variety of caretakers that can be involved in child neglect or abuse cases, including a parent or romantic partner, an immediate relative, someone living at home, a caretaker, educators, coaches, or anyone else who is responsible for the child’s welfare. According to the Illinois Department of Children & Family Services (DCFS), over 70 percent of child abuse goes unreported, and on average, abused or neglected children voice their situation to seven adults before an official report is made. What Is Considered Neglect or Abuse? Child neglect and abuse are two different forms of mistreatment. Child neglect is the failure of a parent to meet minimal parenting standards. This includes providing proper supervision, medical care, food, clothing, shelter, and other basic needs. Child abuse occurs when a child is mistreated directly, and it can be broken down into three different categories: physical, sexual, or mental (emotional or psychological) abuse. Often, children who live in abusive households experience multiple forms of abuse. Reporting child abuse is a stressful societal obligation that is required of anyone who suspects that it is occurring. Many feel as if a child’s home life is none of their business; however, it is important to the child’s life and safety to have an advocate. 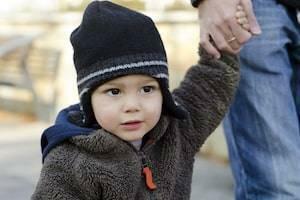 Those who suspect that a child may be enduring neglect or abuse should contact DCFS immediately. It is unbelievable that the winter holiday season is already upon us. 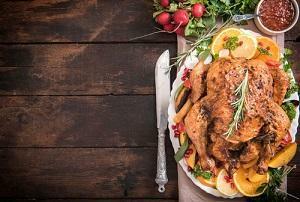 By this time next week, you will probably be on your way to—or at least preparing for—Thanksgiving celebrations with your family members and loved ones. Just a few short weeks after that, families will be getting together for Christmas. If your family is spread out around the country, the holiday season might be the only time your whole family gets together throughout the entire year. With that in mind, it may be the only opportunity you have to discuss important topics like estate planning. There is no question about it: it can be tough to discuss your estate plans. Voluntarily confronting the idea of death can certainly be uncomfortable, but the conversation is important. Discussing your estate plan does not necessarily need to take hours, nor does it need to ruin the fun of the holidays. You have the power to control the conversation and to keep things positive by preparing in advance. Even for those who have never experienced such a situation, it is almost impossible to imagine a deeper pain or sense of betrayal than that which comes from being cheated on by a spouse. While each couple may have their own definition of what constitutes cheating, an unfaithful spouse’s behavior can have a devastating impact on the marital relationship. In many situations, cheating is a symptom of much larger problems but is often the one that prompts the “cheated-on” spouse to finally take action to either fix the relationship or to end it permanently. If your spouse has been cheating and you are ready to file for divorce, there are some important things to keep in mind about your spouse’s behavior and how it might or might not impact the divorce process. In 2016, Illinois lawmakers eliminated all of the fault-based grounds for divorce in the state. Since that time, a divorce can only be granted in Illinois on the no-fault grounds of irreconcilable differences. Cheating can certainly create irreconcilable differences but will not be recognized as the official reason for your divorce. It may be reasonable to believe that when you have been cheated on by your spouse, you should be entitled to a larger portion of the marital estate or perhaps additional court-ordered maintenance to compensate for his or her actions. Illinois law, however, expressly prohibits a court from considering “marital misconduct”—including infidelity—when deciding on property division and spousal support matters. It is the responsibility of the court to address each spouse’s needs and to provide for the equitable distribution of marital property, not to place a value on an unfaithful spouse’s behavior. 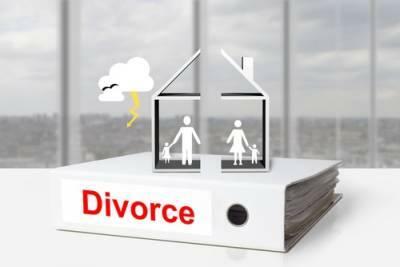 If you have recently gone through a divorce, you probably experienced a number of challenges and obstacles. Even if in the best situations, it can be very stressful to negotiate the various aspects of a divorce agreement, including the division of marital assets and spousal maintenance. Couples with minor children often have even more to worry about. Now that your divorce is finalized, however, it is probably time to take another look at your estate plan, as the new dynamic of your life should be reflected in your will and other planning documents. This means, of course, that your ex-spouse is not entitled to any of the property you had intended for him or her to receive upon your death. On the other hand, depending upon the specificity of your existing will, it may be a little unclear what will happen now with that property. In fact, your entire will may need to be revamped to adjust for the serious life changes. America is a nation built on second chances. Consider, for a moment, the number of high-profile incidents or embarrassments involving celebrities or public figures, and how many have gone on to even greater success and fame afterward. For many, love and marriage is not terribly different. Despite a failed first marriage, more couples than ever are willing to walk down the aisle again in the hopes of finding the permanent happiness that has, so far, eluded them. Remarriage, however, can be extremely challenging, as many couples beginning second or third marriages are bringing with them children from previous relationships. Finding the right balance between parent and friend is often difficult for new stepparents, but there are some things you should keep in mind to make the transition a little more comfortable for everyone involved. 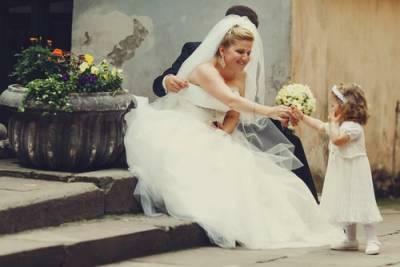 As you fell in love with your new spouse, you knew that he or she already had children. Thus, the process of becoming a healthy blended family probably began long before thoughts of marriage ever crossed your mind. During the dating process, it can be very easy to try to ignore your partner’s children and the potential impact on your relationship, but doing so is not very conducive to a future together. It is important, however, to start slow and not to impose yourself on an existing family dynamic in such a way that will be overly upsetting. Understand that you will probably feel like something of an outsider for a little while, because, in reality, that is just what you are. Over time, though, you will probably feel more included and more a part of the family than you ever thought possible. Whether you have children of your own or not, you need to keep in mind that every stepparent’s relationship with their stepchildren is different, and may even vary from child to child. For example, your spouse’s older child may have taken to you immediately, becoming affectionate and loving without much effort, while a younger child may be more stand-offish and need additional time to adjust. Neither reaction is necessarily right or wrong, but as long as it is honest, you should be understanding and respectful. If a child wants space, allow him or her to have it; if he or she wants love and support from you, offer it. A long-term future together can only be realistic if everyone remains open and truthful about their comfort and feelings. Estate planning is different from any other aspect of the law for one main reason: it focuses heavily on planning for a future the individual creating the estate plan may not be around for. The main purpose of utilizing estate planning tools such as a last will and testament or an advanced care directive is to make plans for end of life care and what happens to our assets after we pass away. While planning for the eventuality of death can be uncomfortable and sad, it is tremendously important. 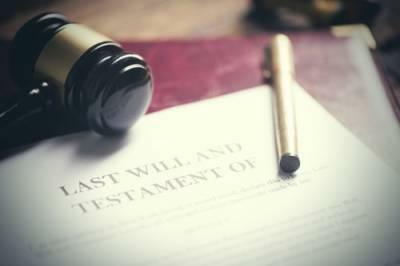 In order to ensure your final wishes will be fulfilled, estate lawyers must ask very challenging questions. However, many people find that preparing for these tough questions in advance makes the entire estate planning process easier. If you have not yet done so, take some time to consider the following questions. When Do You Want Life Support Ended? We often think of death as a black-and-white scenario, however it is not always clear when a person’s life is officially ended. For example, the highly-publicized Terri Schiavo case involved an individual in an irreversible, persistent vegetative state. If you become incapacitated like this, do you want doctors to use prolonged artificial life support or mechanical ventilation? When should "the plug be pulled"? An advanced directive or living will gives you the authority to choose what medical treatment you wish to be used around the end of your life. Drafting a document like this also saves your loved ones from having to make these incredibly personal decisions for you. Who Should Raise Your Children If Both Parents Pass Away? Many individuals incorrectly assume that estate planning is only necessary for the elderly. However, if you have children of any age, you should have estate planning tools which dictate guardianship in the event of a tragedy. If something happens to you and your child’s other parent, who should be the child’s new legal guardian? Unfortunately, parents who do not make this decision official through legally-binding estate planning documents may not have their wishes granted upon their death. When parents die without choosing a legal guardian for their minor children, the court chooses one or more individuals to become guardians based on the best interest of the child. When a couple decides to end to their marriage, determining how to divide marital property is often a challenging process. Before division can even begin, the parties and the court must first establish what constitutes the marital estate. Illinois law provides fairly straightforward guidelines as to what is considered marital property and what is not, but, as with most areas of law, there may be some exceptions to the rules. On such variation may include a marital home purchased prior to the marriage, which, by the letter of the law, could be considered non-marital property. According to the Illinois Marriage and Dissolution of Marriage Act (IMDMA), assets that are acquired prior to the marriage are generally non-martial property, and those acquired by either spouse subsequent to the marriage are part of the marital estate. By this standard, a home purchased before a couple actually gets married could ostensibly be considered non-marital property, especially if the home was titled in just one party’s name. Despite the best theoretical intentions of the law, the real world often proposes logistical challenges. For example, it is not uncommon for a couple to begin looking for a home and complete the purchase before their marriage, with the intention of the sharing the home once they are married (or sooner). If the marriage subsequently ends in divorce, the status of the home as marital or non-marital property may be in question. Over the last four decades, several cases around the state have addressed similar situations and appellate courts have established a reliable case law precedent. An estate plan generally involves human heirs, such as children and grandchildren, but this is not always the case. Some individuals have non-human dependents to consider. Does that mean everyone should include their pet in an estate plan? Not necessarily, yet it might be worth considering if there is even the slightest possibility that your companion may outlive you. It is important to realize that this provision might be important, and how you can take the first step toward implementing it in your estate plan. Why Plan for Your Pets? 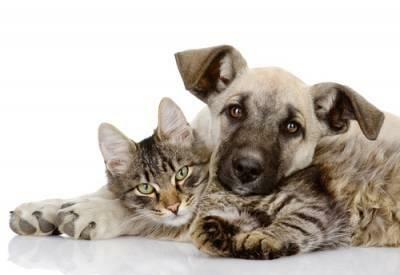 When the owner of an animal dies or becomes incapacitated, the animal may end up at a shelters, especially if there are no family members who are willing to take on the responsibilities of surrogate pet ownership. It happens so frequently, in fact, that estimates suggest some 100,000 to 500,000 pets are admitted to a shelter after their owner’s death or incapacitation. How do these once companions end up in shelters? Often, it is the friends, family, or children of the deceased that surrender them. Perhaps they do not have the room income to care for the animal, or have tried to care for it but do not know how to do so appropriately. Still others might have allergies, small children, or other extenuating circumstances that make caring for an animal difficult or nearly impossible. Even if you have never experienced it, you probably realize that a divorce can take a tremendous emotional toll on a person. 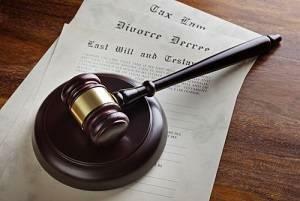 You may also be familiar with the basic idea of dividing marital property. What may not be as obvious from the outside, however, is the potentially devastating effects a divorce can have on the personal financial situation of each spouse, which can be long-lasting and can even result in bankruptcy. If divorce has become a strong possibility for you and your spouse, there are a few areas of concern that you can address along the way to prevent major financial problems down the road. The division of marital assets is an often contentious part of the divorce process. Although Illinois is equitable distribution state, meaning each spouse’s allocation should be fair, not necessarily equal, you and your spouse will probably try to reach a fairly even agreement. 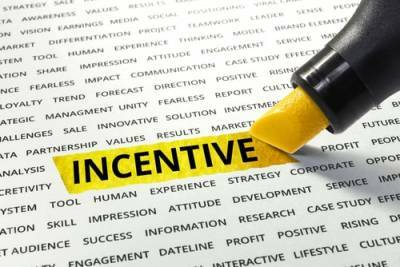 You should keep in mind, though, that certain assets are not as easily converted to cash in the event of unforeseen expenses. For example, if you got to keep the family home while your spouse was allocated an investment account with similar value, you may struggle to sell the home if you were to ever need to do so. Imagine a plausible scenario: one day, you are sitting in your office, perhaps taking a break to read the morning newspaper and to refill your coffee cup for the second time. Suddenly, a person you have never seen before asks you to verify your name. When you do, he hands you an envelope and announces that you have been served. Confused, you open the envelope to find that—to your utter shock—your spouse has formally filed for a divorce. In a matter of moments, it may feel like your whole world has been turned upside down, but now you must take action in response. What should you do and where should you even start? If you have been truly blindsided by your spouse’s divorce filing, there are, to put it bluntly, serious problems in your relationship. Even the healthiest of marriages experience tough times every now and again, but through the difficulties, united couples will continue to talk and communicate their issues and concerns. There is a good possibility that the underlying issues that led your spouse to file for divorce have been going on for a long time, but communication was not a high enough priority. The problems were downplayed or completely ignored until, one day, enough was enough. While a healthy marriage requires full cooperation and participation from each spouse, a divorce can be all but completed with the efforts of only one. Of course, if you refuse to cooperate with the divorce proceedings, the process will likely be much longer and more expensive. The other consideration is that it is unreasonable for you to try to stay married to someone who no longer wishes to be married to you. The better option is to get the help you need to get the through the process and to start a new life where you can be happier and healthier. Thinking about the end of your life is not an easy task, especially if you are still fairly young or currently in the prime of your life. Yet failing to do so can have serious consequences for you and those you love the most. Of course, you are not alone. In fact, statistics suggest that only about 40 percent of American adults have a valid will. Do not continue leaving your family unprotected. Learn how creating an estate plan can improve the future of your family and how you can create one that protects everyone’s best interests. People do not generally consider how an estate plan can help them, yet there are some clear benefits to having one. If, for example, you become incapacitated, a valid power of attorney can help ensure your wishes are followed. You can name someone you trust to make any medical decisions you have not already considered. It is also possible to assign someone to watch over your financial affairs. 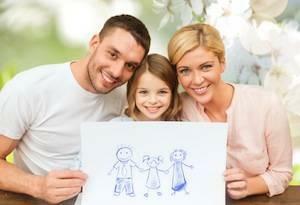 In short, an estate plan can protect and preserve your interests in the face of the unthinkable. A valid and well-designed estate plan can protect your family, regardless of whether you have become incapacitated or have passed away. By having someone you trust assigned to your financial matters, your estate is preserved, even if you are incapacitated. By having a clearly defined will, you can save your loved ones the stress and worry of probate or long, drawn-out battles over who gets what. Your plan can also reduce the state and federal taxes that your family may have otherwise been responsible for paying. After months or even years of unhappiness, you have finally decided that it is time for your marriage to end. It happens. In fact, it happens to about 800,000 couples every year in the United States, or about 2,200 per day, including weekends. If you are like many individuals, it can be very tempting to take to Facebook or Instagram in celebration of your newfound freedom. Others, sadly, turn to social media as an outlet for disparaging their partners, in hopes of finding support from friends and loved ones, or simply out of anger or spite. Whatever the reason, it is often best to limit your use of social media during your divorce to prevent potential unforeseen consequences. According to recent study conducted by the American Academy of Matrimonial Lawyers (AAML), as many as 99 percent of family law attorneys have observed an increase in the use of text message and social media evidence in divorce and family proceedings in the last few years. Many divorce attorneys are even incorporating strategies for uncovering such evidence. What was once the territory of private investigators with cameras and notebooks is now often covered by voluntary posts on Facebook. 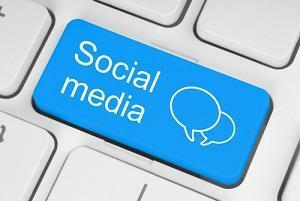 While discovering damaging information on social media, such as your spouse’s illicit affair, for example, may irrevocably destroy your relationship, Illinois law prevents a court from considering marital misconduct in most proceedings related to divorce. Spousal maintenance and property division concerns are not dependent upon the behavior of either spouse. However, there are subjective factors that can greatly affect your case, especially when children are involved. Everyone knows that when you get divorced, your ex-spouse gets half of everything—unless you have a prenuptial agreement. That is just the way it works, right? Well, not exactly. Not in Illinois anyway, along with about 40 other states. 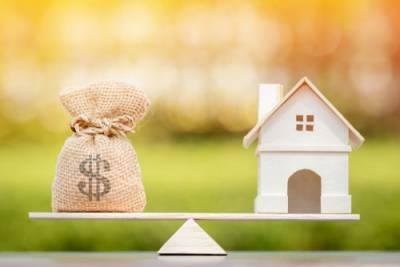 The idea of an equal 50-50 split applies only to the nine states that maintain a standard known as community property in divorce. The remaining states, including Illinois, use what is called an equitable distribution standard, which may vary slightly from state to state, but generally requires a more in-depth consideration of a divorcing couple’s property and circumstances. The equitable distribution guidelines in Illinois are contained in the Illinois Marriage and Dissolution of Marriage Act. The process begins with establishing which assets belong to the couple and which belong to each individual spouse. Those that belong to the couple include all property acquired by either spouse during the marriage with limited exceptions for gifts, inheritances, and judgments. 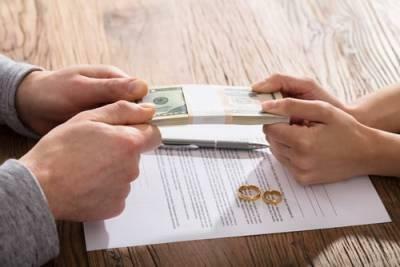 Assets owned by either spouse prior to the marriage, along with the exceptions to marital property, are non-marital property and not subject to division. The value of the marital estate must also be determined, which may require the assistance of various experts, including real estate appraisers, financial advisors, and other professionals. A Will or a Living Trust: Which Is Right For You? Your family should not need to worry about your finances and assets after you die. That is why it is so important for you to create an estate plan. Even people of modest means have an estate and multiple options to choose from to ensure that their affairs are in order when the time comes. Two popular options are wills and living trusts. Understanding the difference between the two can help you decide which one is your best option. 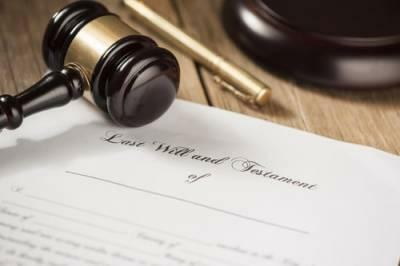 A will is a legally binding written document that dictates how your property and assets will be distributed when you die. You can modify your will at any point during your lifetime, which means that the terms are not set in stone at the time of writing them. You can use a will to name a guardian of minor children in the event of your death, decide how debts and taxes will be paid, and name an executor of your estate. A living trust is a legal entity that is created to hold and own property. A trust is managed by a trustee, which is usually the owner, at least during his or her lifetime. The owner is also usually the beneficiary while they are alive. A trust usually names a successor trustee who will take over the management of the trust when the owner dies. Your assets can be dispersed to named beneficiaries when you die, and you will be able to maintain privacy regarding how these affairs are handled.